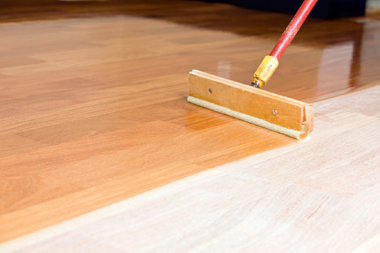 At Dust Free Floor Sanding Perth we only use the best floor finishing and coating systems available. Our Standard finishes are two pack water borne "Bona Traffic Hd” and "Bona Traffic Naturale" which are heavy duty commercial standard and low VOC content. Both are available in various sheen levels. We also use high quality low VOC primer coats as part of our finishing system to ensure the best end results. We are certified by "Bona Australia" to use Bona finishing products and carry out dust free finishing to the highest standard. All between coat sand screen and buffing processes are of course carried out dust free! We also use "Osmo" finishing systems including "PolyX Hard wax natural oils" which can be colours tinted to the colour of your choice. More details about "OSMO PRODUCTS" can be found here. Lime washing or white washing is a finish option we have been carrying out for many years to give your floor that beach house feel. We can adjust the level of the "wash" to suit your requirements. This technique works best on lighter coloured timbers and is sealed in to protect, for easy cleaning and maintenance. We do not use old style toxic solvent based finishes. Studies have shown the associated health risks of high VOC content solvent based finishes bring serious health risks not only just for the contractor applying them but also for the home owner and other passive users who come into contact with finishes containing high VOC levels. Because of this, in Europe, solvent based finishes are no longer allowed to be used commercially. All our finish options are durable and low VOC. Please call, text or email us to discuss your requirements further. You could alternatively use our quote request form and we will contact you.